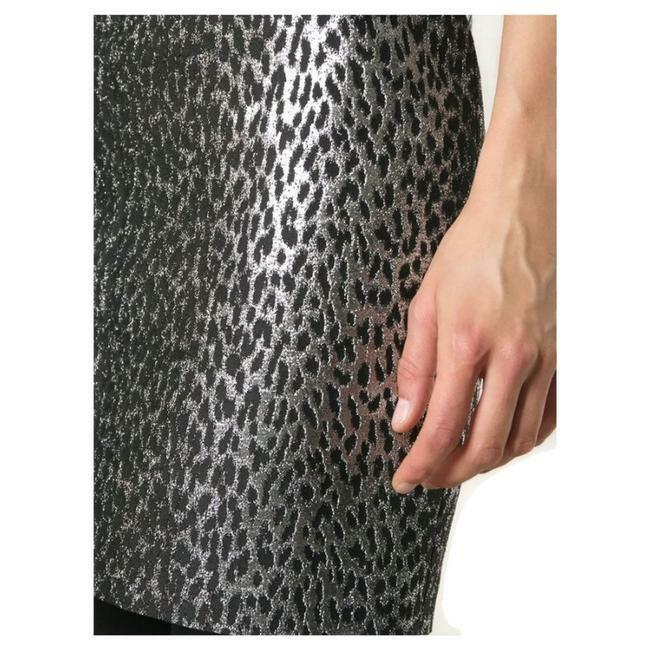 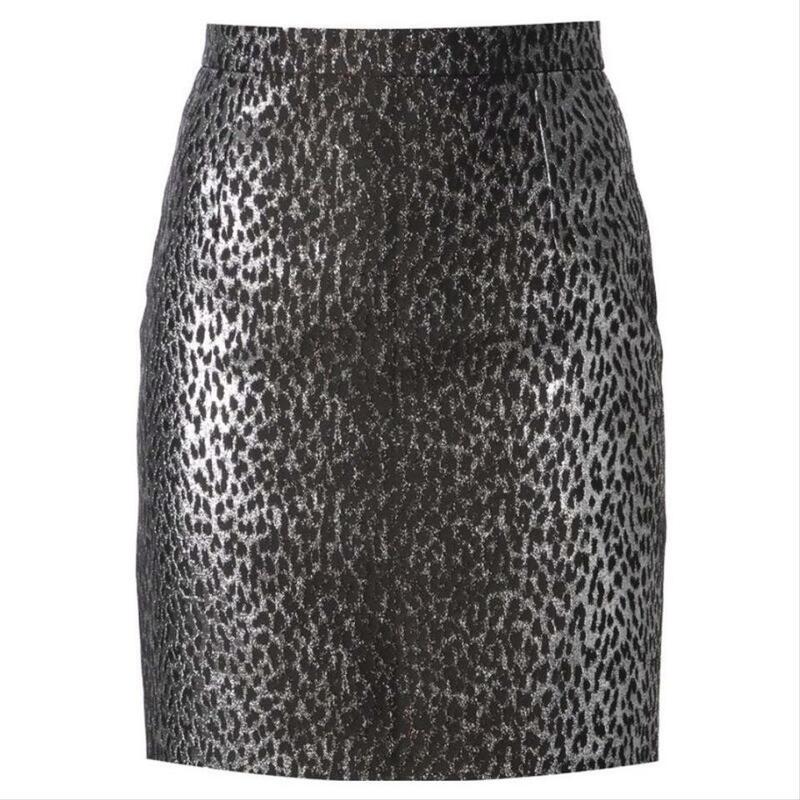 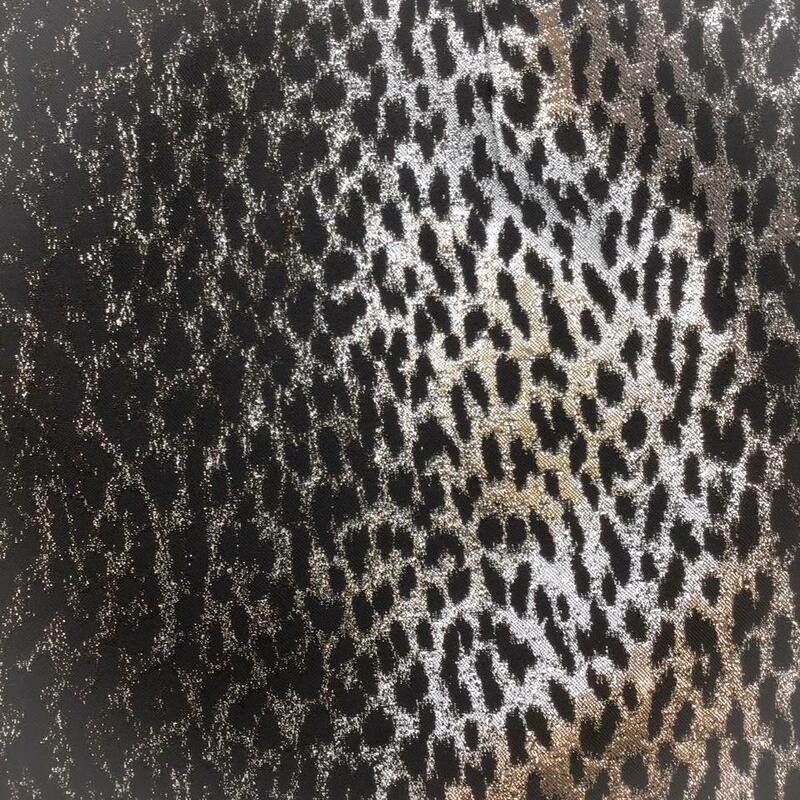 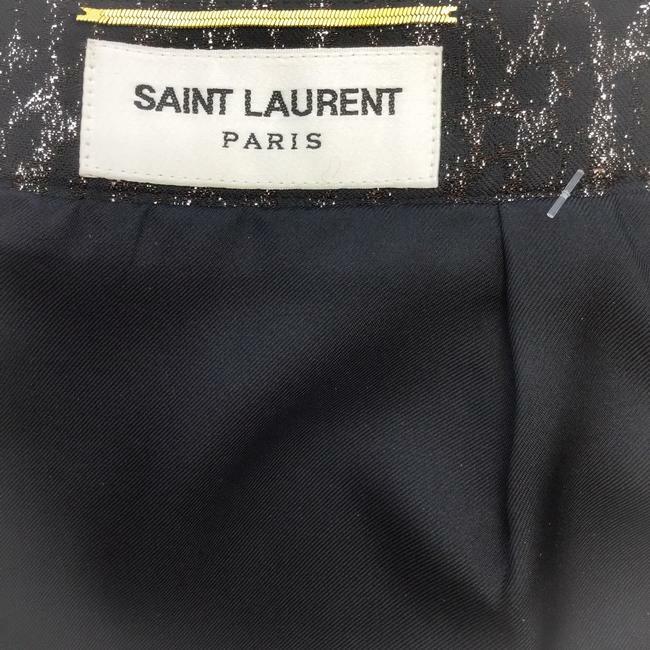 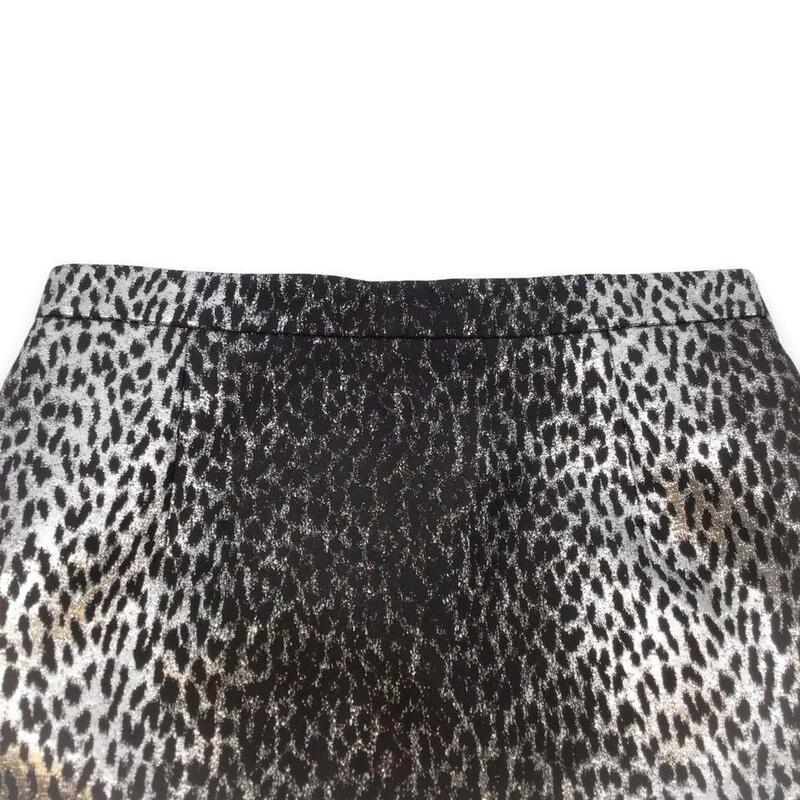 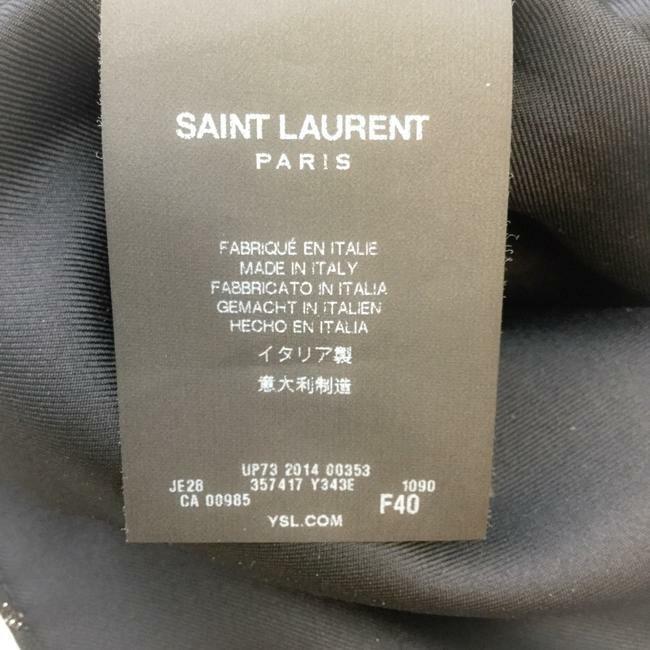 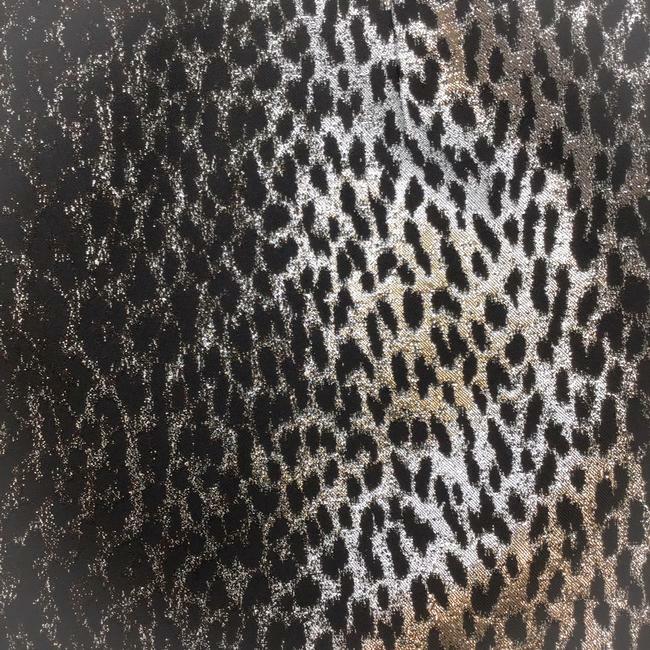 Saint Laurent mini skirt featuring a leopard print design in shimmering silver metallic. A slim waistband, straight cut, and concealed back zipper contribute to the streamlined style. Pair with a tee-shirt and a blazer to complete the look.